When constructed, the SKA will be the world's largest radio telescope. SKA South Africa and Agri SA today signed an agreement that commits both organisations to jointly ensure that local communities of the Karoo benefit from the SKA project. In anticipation of the impacts that the construction of the SKA radio telescope will have on the environment and local communities in the Karoo, SKA SA is partnering with civil society organisations to ensure that these impacts remain positive. Currently, SKA SA is negotiating with landowners to buy 32 portions of land or a total of 118,000 hectares to build the core of the SKA. This will be sufficient land to build the entire core of the SKA radio telescope. Antennas will also be built across three spiral arms that will stretch out from the core. Use of the land for the purpose of establishing the spiral arms will be negotiated by establishing servitude agreements with landowners. 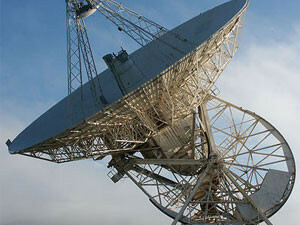 When constructed, the SKA will be the world's largest radio telescope. Engineering teams from around the world are finalising the design of the telescope, while the international astronomy community prepares to use this next-generation facility. The SKA will conduct transformational science to improve our understanding of the universe and the laws of fundamental physics, monitoring the sky in unprecedented detail and mapping it hundreds of times faster than any current facility. Through this agreement between Agri SA and SKA SA, both organisations commit to continuously explore ways where affected agricultural land is optimised to accommodate ongoing farming activities where possible, as long as the functioning of the radio observatory is not compromised. Through its affiliated membership, Agri SA represents the interests of farmers in SA. The expertise of this farming community will assist SKA SA to deal with land management challenges such as predator control and the control of alien invasive plants. The local farming community, including farmworkers, will be affected by the restrictions placed on the use of modern telecommunication devices. The SKA SA commits itself to invest in the development of alternate technology that will ensure that the impact is minimised. Through this agreement, frequent needs assessments will be conducted to ensure that these alternative solutions meet the communication needs of the affected communities. "Agri SA is keen to develop partnerships and this one represents a partnership to develop relations and solutions to farmers and communities in the area," says Johannes M"oller, president of Agri SA. "My vision for the SKA in South Africa is to continue building our relationship with the people living on and close to the SKA site in the Karoo," says Dr Rob Adam, managing director of SKA SA. "Various socio-economic studies point to the needs of local people with regard to education, employment and quality of life. It is the responsibility of both SKA SA and local farmers to work together to build a sustainable future for this part of the Karoo that we are privileged to work and live in. Through this agreement with Agri SA, the SKA SA expresses its commitment to work in partnership with the organised farming sector to ensure that maximum benefit is derived from hosting the SKA radio telescope in the Karoo."